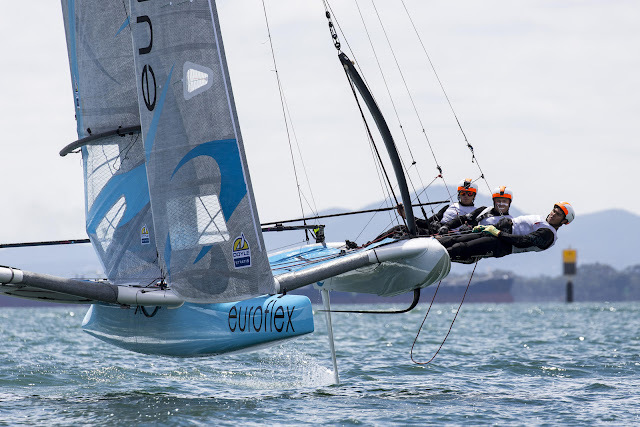 - Reading TNZ fb that the soft Wing they are developing will "Trickle Down"... not even close, as many sailmakers have been playing around with the concept for years, lately Heru Sails with their A-Cat & I-Fly 15 soft wings among their long time Windsurfing development. 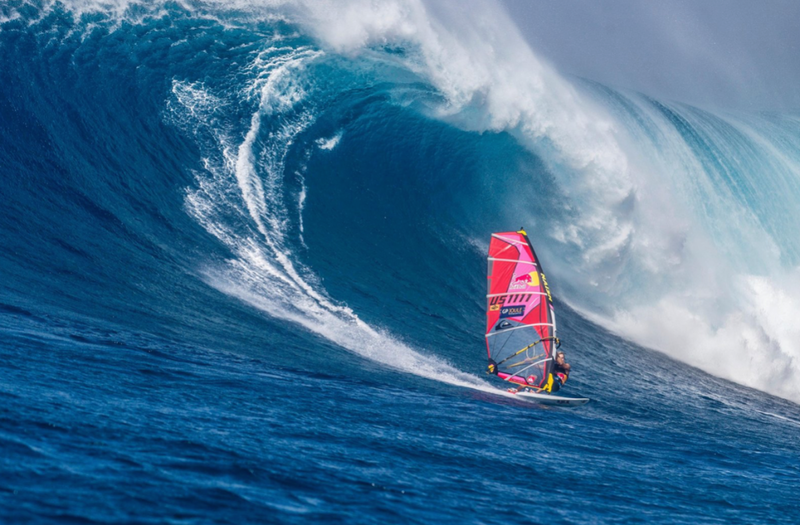 Same for the entire Windsurfing industry and the double luff sails. 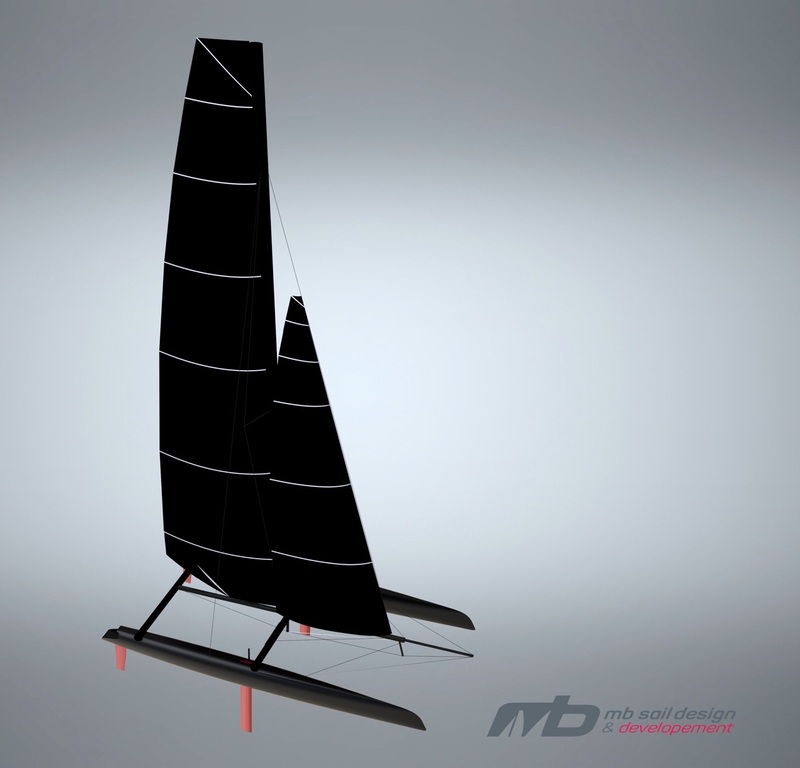 We highly respect the talent, professionalism and level of the designers of the AC75 rule, but if this concept was proposed say on an Internet forum or here or anywhere else, it would have been labeled as ridiculous complicated solution just to please the old guard with a visual Monohull central platform. 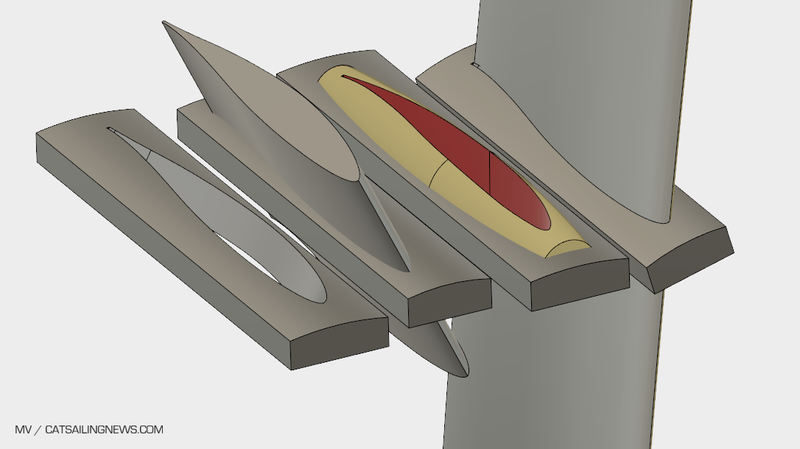 And now this Soft wing "breakthrough" to replace the hard wing, along supplied foils, OD mast tube and else. In the end it was better to keep a simplified multihull platform and leaving the hard wing , instead of over complicating with a ballasted 3pt monohull foiling dangerous experiment. 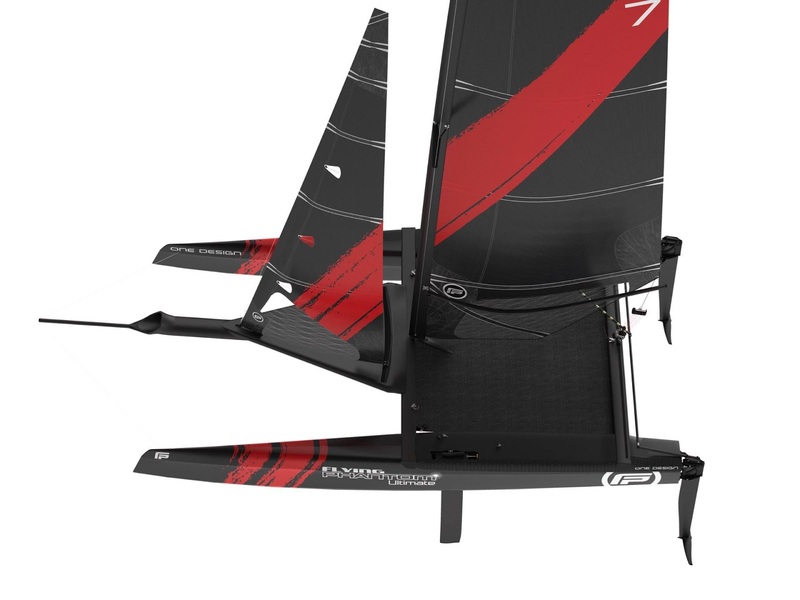 On their reduce cost but maintain foiling goals, best alternative would have been an scaled GC32 or updated softwing AC50 without all the playstation controls. 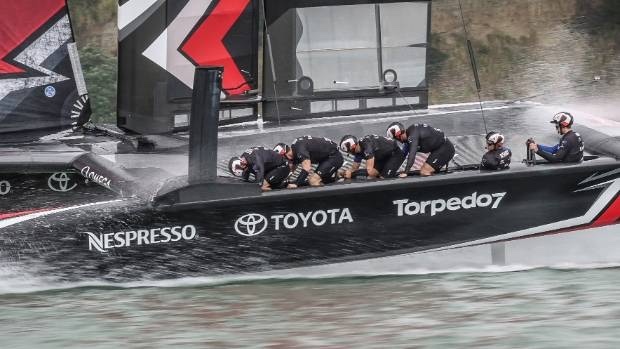 Don't let aggressive sailors drive these things on the chance of destroying and hurting their fellow competitors, not on their actions but only on the new Rule creators and Team owners/Leaders stubbornness on a single hull Cup. 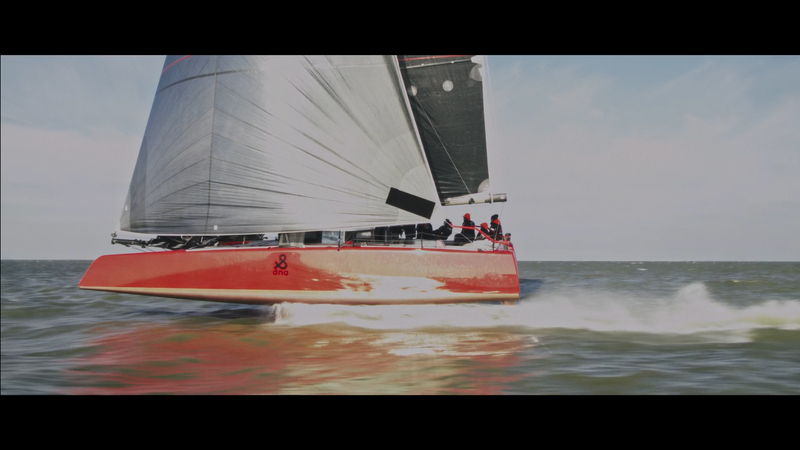 New Rules: The America's Cup AC75 Class Rule Official details below & video sent by America's Cup Media. 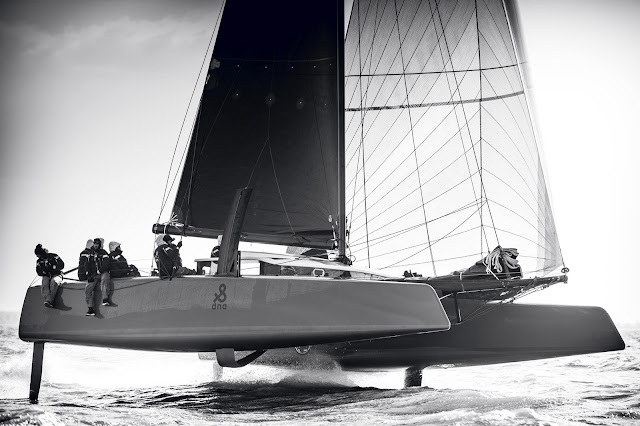 In addition, the ‘soft wing’ mainsail concept that has been developed for the AC75 Class Rule is expected to have a trickle-down effect on sailing in the future. 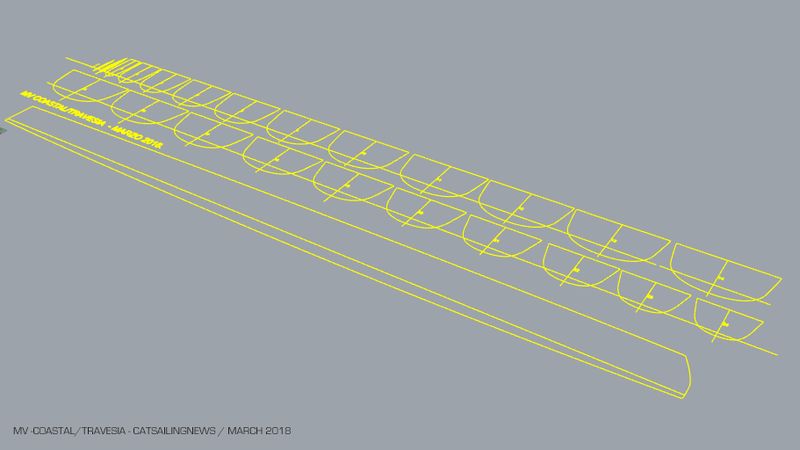 This will be the same for the best minds in yacht design and technology across all of the teams who will begin to reveal their innovations 31 March 2019 when the first AC75 yachts can be launched. Video by Paschalidis & Trigonis Sailing Team. The experienced Greek crew is now full immersed with the Formula 18 after their debut together at the 2017 Worlds. Later they won a competitive lineup at St Barts and they continue to put hours on the Class. They have organized their first F18 Training Camp with five Exploder Scorpions equipped with 1D Sails. More info on the camp here. Video above in flat waters, but nevertheless super smooth rides. 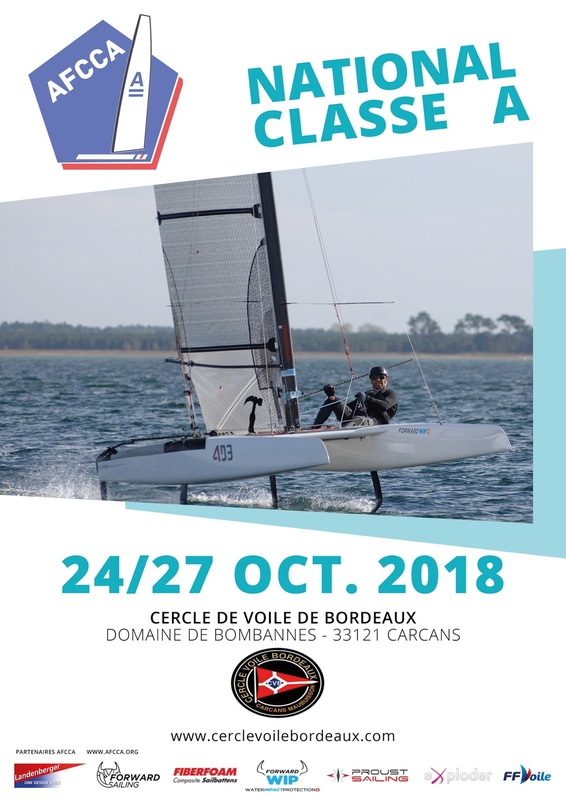 Which is the common feedback I have from many different sailors, specially the "floating/foiling" (sic) sensation, that can be assigned to the combination of a flat transom with more rounded forward crossections. When you assign flat crossections to bow specially , you will feel an annoying splash in small chop or waves. A feature I had in mind when designing the Scorpion. Glad it worked as intended. 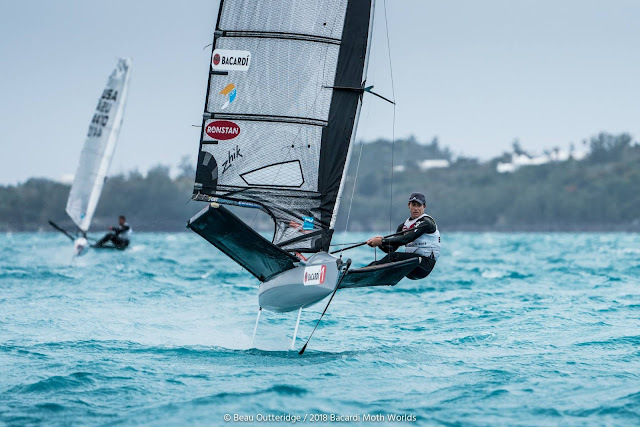 2018 F18 Europeans & 2018 F18 Worlds at Sarasota coming this season. Epoxy rule , as informed is now approved and in place. 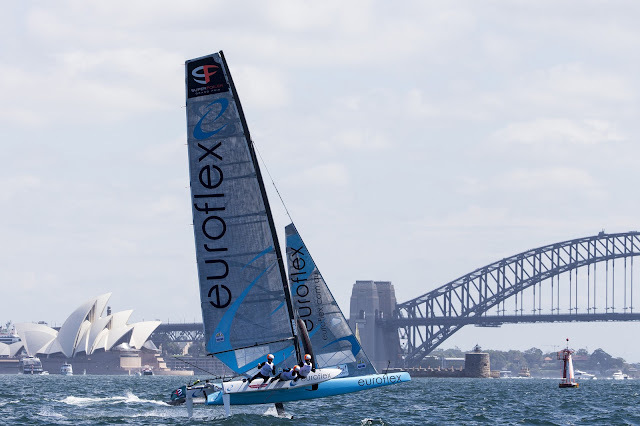 Epoxy F18s will be allowed to race the 2018 Europeans and the 2018 Worlds. 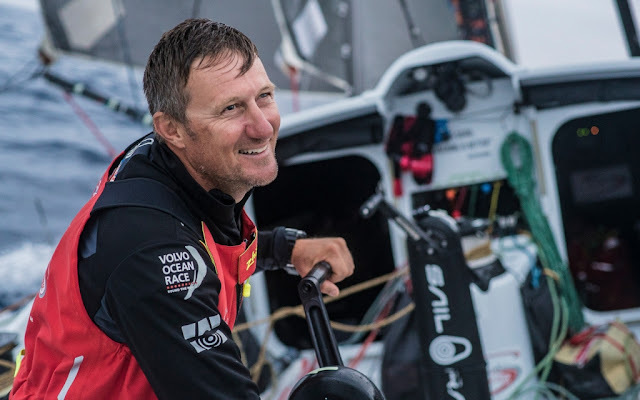 Official update sent by Volvo Ocean Race media on man over board incident. March 27 - Race Control for the Volvo Ocean Race was informed by Team Sun Hung Kai/Scallywag of a man overboard incident, on Monday afternoon (26.3.18) at approximately 13:42 UTC on day 9 of the 7,600nm leg from Auckland, New Zealand to Itajaí, Brazil. The incident took place approximately 1,400 miles west of Cape Horn. The remaining crew are reported safe. 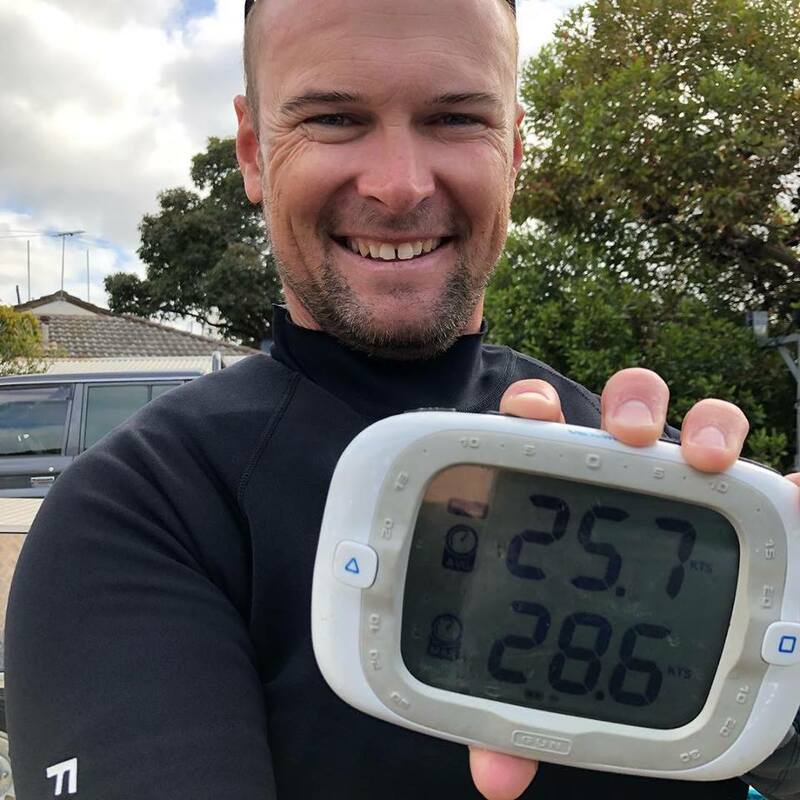 The team, along with the Maritime Rescue Coordination Centre (MRCC), conducted a search and rescue operation to recover the missing crew member, John Fisher (UK), who was wearing survival equipment when he went overboard. Team Sun Hung Kai / Scallywag has now resumed heading in a north-easterly direction. Photos by Red Bull & Emirates Team New Zealand.-- I received this newsletter below today from the Yacht Racing Forum proposing some interesting discussions, specially the Foiling & latest AC tech topics. On gender equality, I think people is pushing too much on political correctness nowadays in every little aspect in life & sports. Genders are not equal, thus there is not one gender. Opportunity should be equal but not forcing the envelope or relegating better sport person on the pursue of equality. Those pushing the agenda for equality in - terms of performance - need to acknowledge there are differences that cannot be solved by bureaucracy or forced rules. 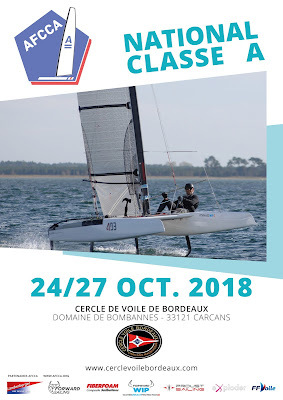 Any sailing Open Class event will show you that in a great percentage. Still you will have Carolijn Brouwers showing you the way, that's the beauty of the Open format. Equality needs to be as today in Sailing, having the same number of events for men & women. We don't need to reach the point where the podium in an open event must be formed by at least one x,y or z gender, to exaggerate (or not much nowadays) the equality concept. 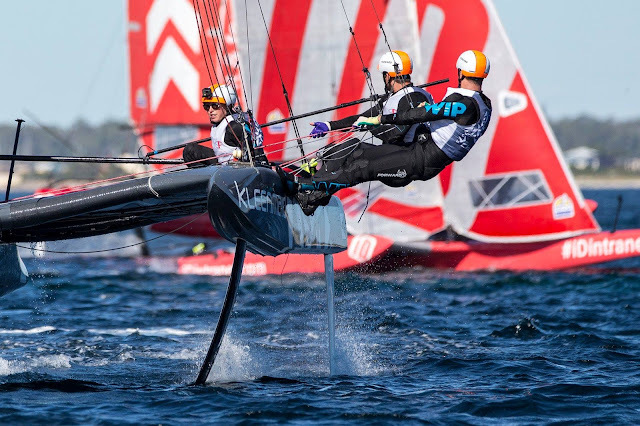 But in terms of performance the real hands down opportunity for all it is an Open gender qualification and racing. 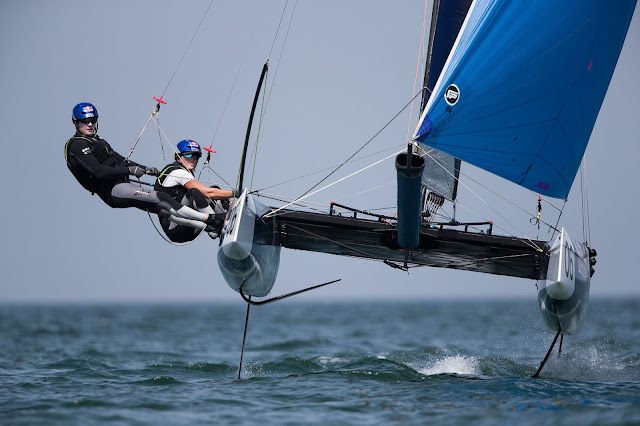 Which of course will never be implemented and don't think it is the way to go eitherway, in sailing or any other sport. AClass custom inserts vs Traditional Frames cut to build the Coastal type rowing hull to be routed next week, just like I built the RCF18 back in 2005 which was fully hand made with wood frames. Above some A-Class foil inserts I'm preparing to upgrade an A14. 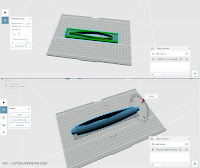 Entering & learning nowadays the 3D printing realm, will use one of a friend , but already ordering one. 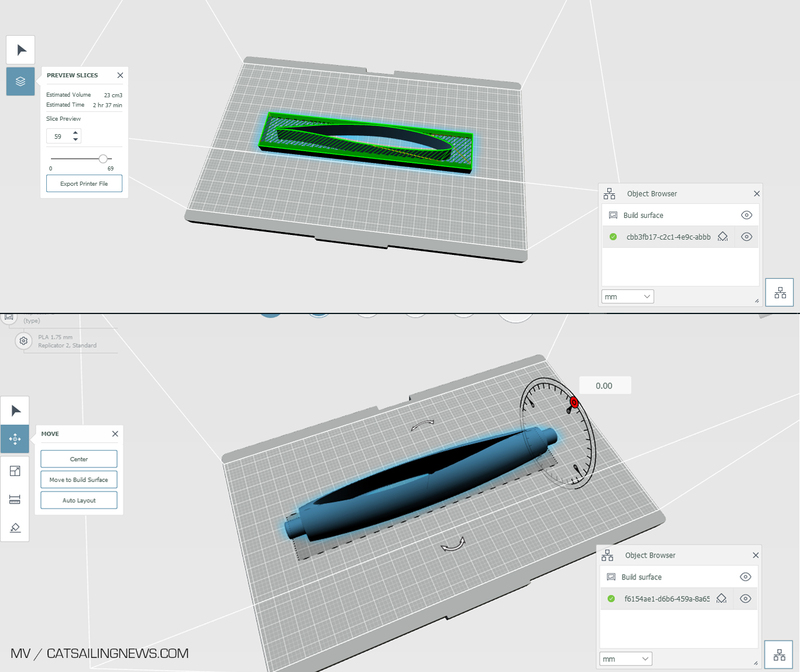 I've been investigating a bit, and the majority of Desktop 3D printer and materials lack structural needs I look to create some working parts. But found some good solutions and think it will good, plenty of small parts to print in the A or F18, even recreational cats. I always tercerize those delrin/nylon parts for my cats to local turner or routing guys. But as 3D printing methods & materials evolve, its is easy now to build those specific parts yourself. All this aside prototyping, small molds etc you can create with 3D printing. Edit: Just been told that Tripp Burd also works in the 3D Printer business, at Markforged, which is precisely one of the companies offering structural solutions & carbon / kevlar printing filaments. I'm reparing an interview with Mischa Heemskerk, including the G4 project, and just received this vid from Thijs van Riemsdijk of the the updated DNA G4. Steve Brewin leads the 2018 Vic Sates Championships being held at Mc Rae Ycht Club. 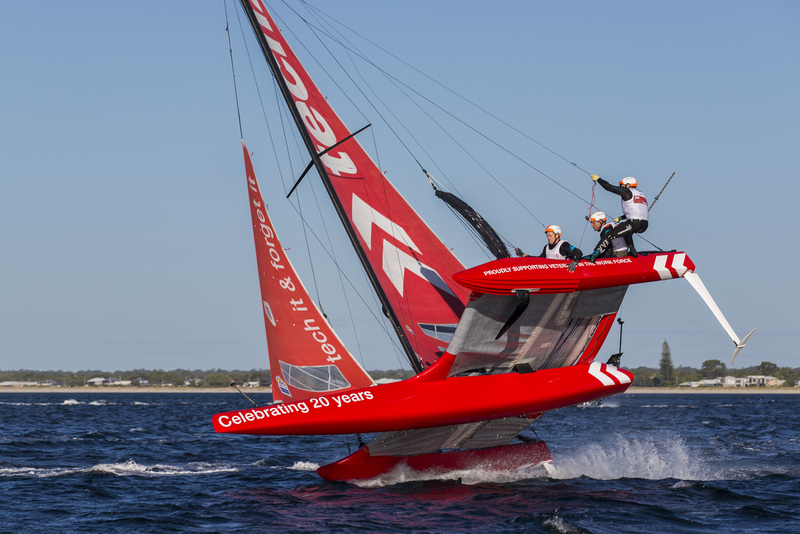 No wind on the first day followed by good flying conditions on the next one. Stephen Brayshaw (who published a 28.6 knots max speed on his Velocitek ) is currently second overall followed by David Brewer. Max speed I have direct reports are around 29/30knots for an AClass , so the pros are slowly entering the +30knots range realm. Reaching the speeds of the double handed foilers. 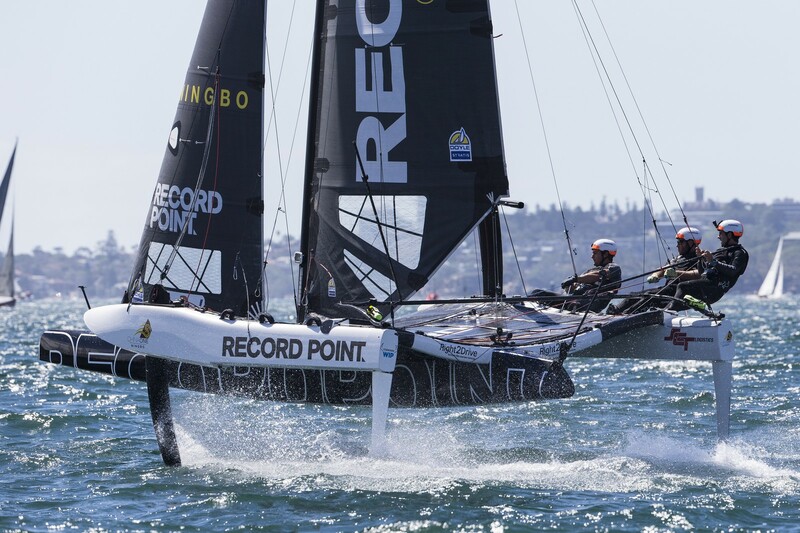 Here in Arg for an A-Cat we have 26.8knots as max recorded speed. 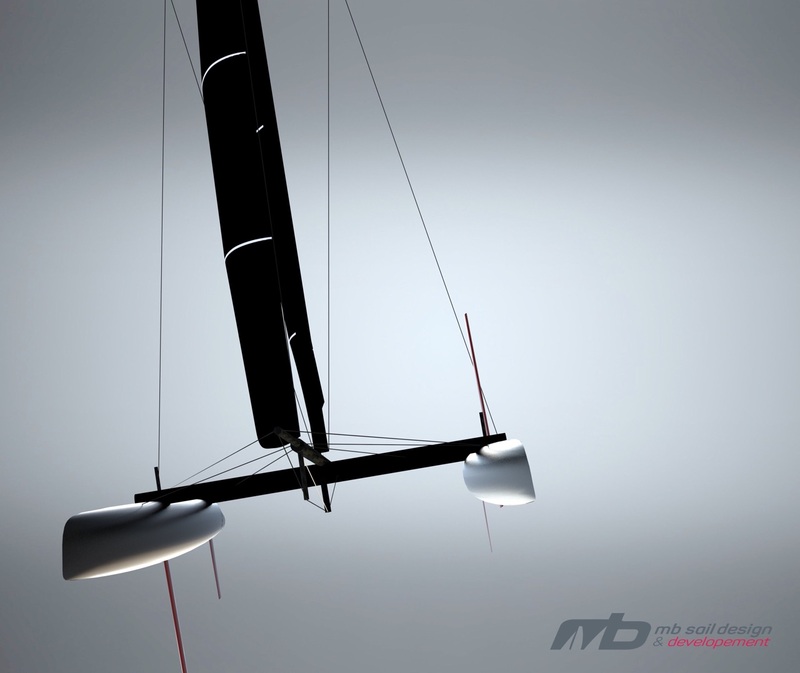 The Hong Kong-London record has been ratified by the World Sailing Speed Record Council , details at maserati.soldini.it. 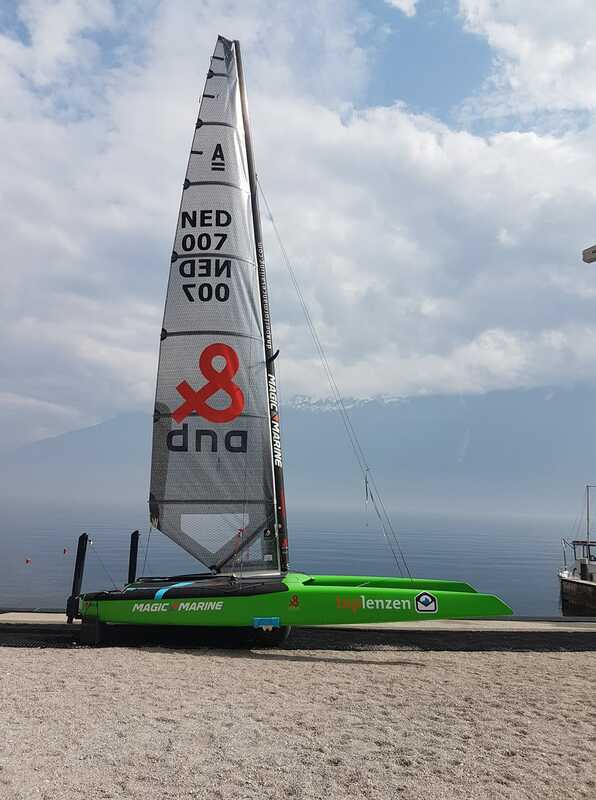 The platform has also re entered the yard for foiling improvements. Verdier himself explains the mods in below video: Basically they were having stalling issues on the rudders, so he will seek better control and a more rigid built. Additionally they will implement a 'kick-up'system for eventual rudders collisions but trying to keep some degree of control. In Hungary the Lake Racer overhauling continues. 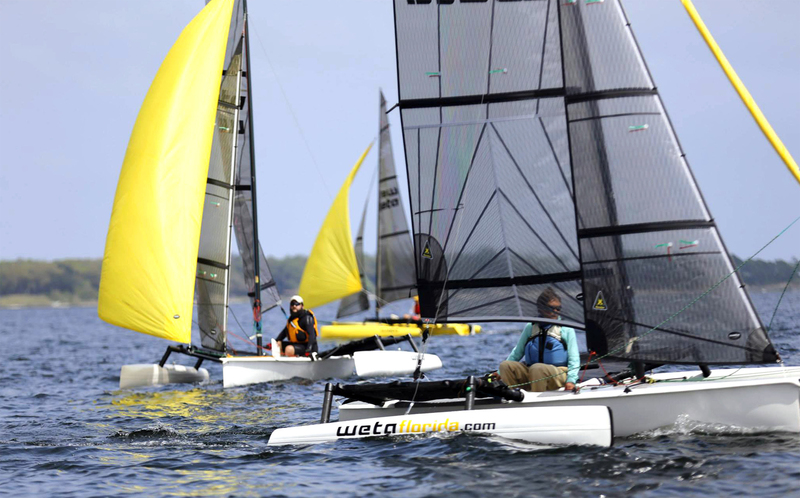 Annual Balaton Lake Rounding attracts many teams aiming to grab one of the most pretigious Blue Ribbons in Europe. Last year the race was won by a D35. 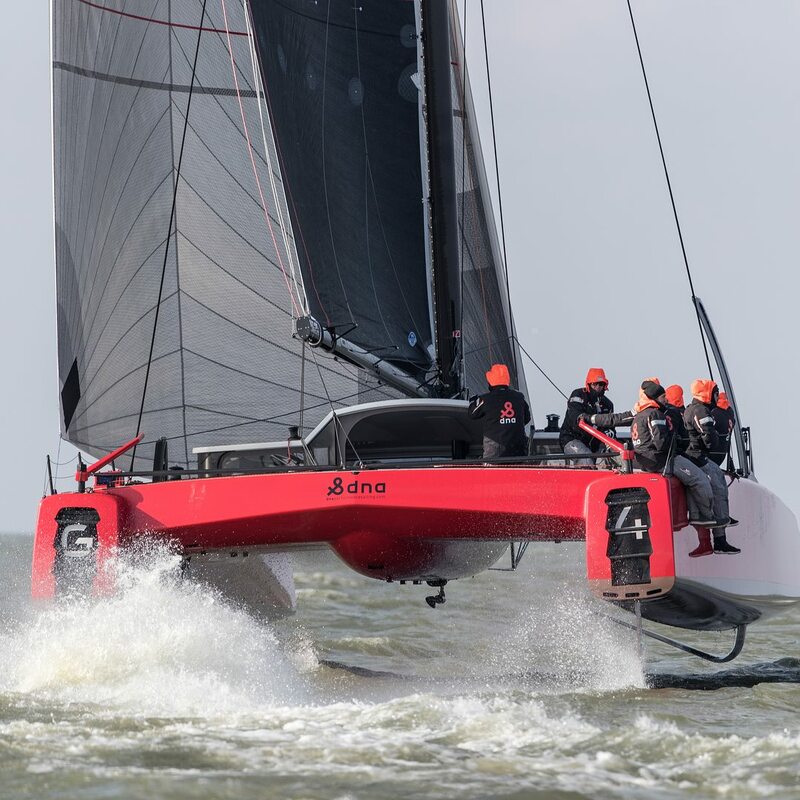 For 2018 edition a local team will be working with Marton Balázs on upgrading a pretty reliable weapon, and one of our favorite cats, an AC45. Below details sent by Marton on the work to be done on the plaform. Brett Ellis, top AC level Engineer will be also involved in the project as the mods include structural changes. 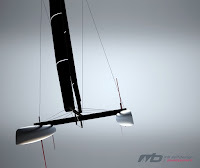 We've been working for the RSM sailing team RSM Sailing Team with Steve Bali from Balli Racing for many years now. Last year we did an upgrade to transform their GC32 into a light wind machine with a huge Code 0. For 2018, the team has decided to get a new boat to compete in the Balaton Lake race. 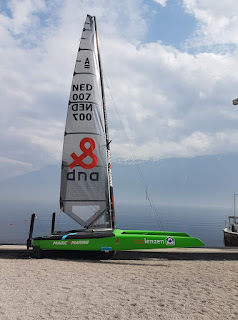 The main idea upgrade their AC45F towards a more powerful setup for light conditions for lake rounding regattas, which means even racing below 5kts of wind. 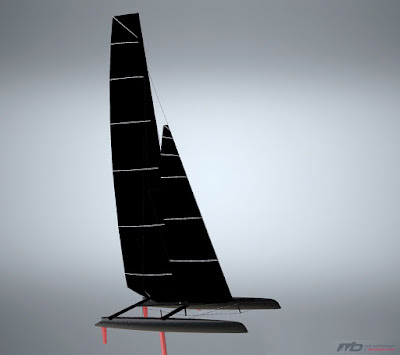 We are gong to modify its rig too with to be able to improve handling on shore and on the water too. This upgrade includes two key elements. One is a 23mts high modulus carbon mast with a 100sqm decksweeper mainsail and a gigantic Code0. The other is reducing the weight of the platform, re designing and rebuilding the platform for the new loads adapting its dimensions to achieve a more efficient package. 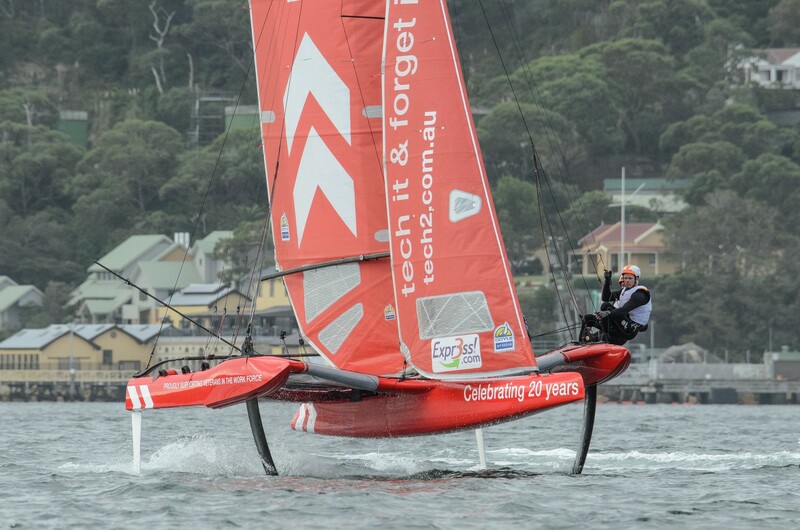 The boat will able to use straight boards and foils as well. The design will be made by MBSDES the design division of 1D Sails, the construction will be made by Bali Racing, the sails obviously from 1D One Design Sails. 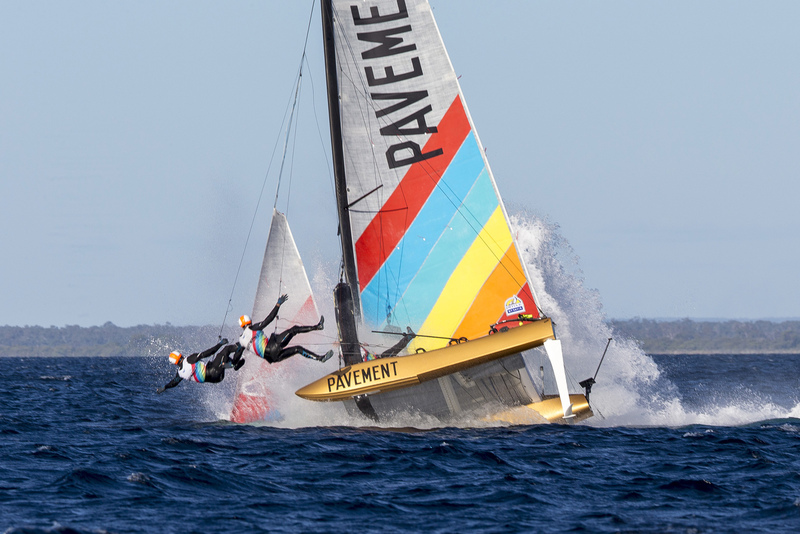 Pavement capsize footage , plus more capsizes.. ! and Euroflex damage details.